Before you start writing your next blog post or creating any other type of content, take a minute to think about how someone would search for the specific information you plan to add. What words or phrases would YOU use in your favorite search engine search box to research your subject? What words would your friends and family who don’t know as much about that subject use? Make each post or page about ONE subject best described by a specific two to three word phrase. These words and phrases are called keywords or keyword phrases. While some appear to advocate targeting one KEYWORD which I would not agree with, it appears he actually means one PHRASE and that is exactly what I do recommend. Targeting one word, especially if it is a common or very competitive word, is not going to be nearly as effective as targeting a two or three word phrase. If you sell Gazebos only in Texas, while you might target “gazebo” you’ll have more success using Texas Gazebos, Gazebos Waco, Gazebos TX and TX Gazebos – This business had a Web site with pages that targeted locations and specific types of gazebos and even misspelled versions of the word gazebo until their friend talked them into letting him build them this far less effective site and lost all those pages and search listings. They aren’t the first nor will they be the last business owner I know who could have used our post What Not to Do With Your Existing Site When You Upgrade or Remodel. The more individual pages you create that each target a specific phrase the more likely your site will be found in organic search. This is not something that you can do overnight. While there are automated ways to create these pages if you have advanced skills, anyone can create quality content over time. Decide on the appropriate keyword phrase before you start writing and only use one keyword phrase for each page. You may have to use your imagination to create unique content especially where you wish to be found in many locations. It usually is not necessary to use the names of every town; in places where most people shop in a major city they will often automatically search in the closest larger city. Throughout the content include each variation and inflected form of the words and phrases: plural and singular, past and present tense when applicable. WordPress, WordPress plugins like All-in-one-SEO, and advanced themes like Thesis and Genesis either provide fields for the above information or automatically handle many of the above tags for you. If you have specific questions ask in the comments and I can provide additional details specific to your circumstances. Be sure to be as specific as you can and include what CMS, blogging platform or type of program you are using so if I don’t have the answer someone else can provide it. While you want to target your specific phrase, consider also using variations of those key words within your page content. You may choose to target these other forms in specific pages later, but it won’t hurt to mention them in your current content. It is imperative that you clearly understand what keywords to use and which are too broad or too specific. In Evaluating AdWords accounts I regularly saw businesses targeting words that would NEVER work. You can not expect to rank for words that are too generic and not included in a phrase with your target product or service. You don’t want to buy that traffic and you are highly unlikely to rank for it in organic search. crown mouldings (plural of alternate spelling). They should (and do) also couple crown molding with other words like red oak crown molding or maple crown molding while not targeting “red” or “oak” or “maple” for the same reason they can’t rank for the words “wood” or “crown”. I hope you’re getting the idea. They can also target more specific wood phrases like Fire Resistant Wood or reclaimed Cypress wood. Apply these examples to your own products and services. If this is not crystal clear do ask questions in the comments. For every person courageous enough to ask there are dozens more who have the same question. Proper selection and use of keyword phrases is one of the most basic and important concepts to understand when using the Internet to grow your business. Apply these basics to your content to grow your business. I recommend using the WordStream tool linked above to generate lists and then saving them in a keyword searchable program like Tomboy Notes. As you write posts be sure to cover each of your most important phrases. I paste the URLs of the posts targeting each phrase next to the keywords. This is especially important if you have many similar keyword phrases or write about many similar products. NOTE: Originally published May 30, 2009. Updated and republished 2/2/15. Added SlideShare and custom video produced by Julie Weishaar of NewHorizons123.com @NewHorizons123 2/5/15. Thanks to share valuable post its really helpful my future blog keyword phrase its really a good techniques to increase your content visibility. Hye Gail, Your post is very insteresting and informative. And Gali you have used many keywords in a praragraph so, it don’t effect our post or website? i think it is against keyword proximity rule. If no, so how did you use this trick? Yes, if I were trying to rank this post having many unrelated keywords in the same content would mean it would not rank for anything. But this post is to explain an important concept and I promote it via social media so I’m not worried about that. If you are trying to rank particular pages or posts they do need to be about a specific keyword phrase and the other keywords in proximity should be related to the primary phrase you wish to rank. Thanks for such a great tutorial and recommendations. This article will help us in selecting root keywords so that we can implement it in our SEM and SEO activities. once again thanks and keep the good work up. Good article. I especially like the emphasis on synonyms, plural etc. However, I noticed that you haven’t used term LSI per se? Yes, those are the places mentioned in this post and where we typically use the keyword phrase. Can you share latest word selection trend for Mobile app Development. on base we can selected best keyword for mobile app development company so that we can get less competition high ranking on less time. Anil Patel would love you to read ..Is it a good idea to hire iOS app developers from India? I don’t claim to be an SEO, but I do regularly use keywords in titles and URLs as well as content and sub-titles in everything I write here and elsewhere. thanks again, i think google keyword planner is the one good for new ones..
i think you delibrately write such a quality to secure lots of thanks.. i don’t know about others but yes i feel great, when i find you in my search. Thanks, Andrew. This post was so popular that others were sharing it regularly for me. I decided it deserved an update and republishing. Gail Gardner would love you to read ..Living in Terror of Negative Reviews? Hi Gail,This is wonderful, indeed this on of fascinating post that i found online about chosing keyords, how and where to apply them. this post no doubt make real sense. Well done Gail, keep it on, bye! A really nice and well explained post about how to do keyword research. I usually focus on LSI keywords, and long tail phrases. And It really helps in ranking on both the terms. I found all the information very usefull thanks for sharing the post. I was searching for the information about how to use keywords. I found this article really helpfulll. Nice article. these types of articles will be useful for the web designing company in Kerala, which providing seo services. keyword researching is very important for SEO. So this will help them. Thanks for share some useful information about using keywords in our content. i am new in blogging and this article is helpful for me. Very useful post. If you could suggest some good tools to do keyword researcj then as well it could have been really useful. I have added several additional resources that cover keyword research. And how keywords can be select can now be easy after reading your article. 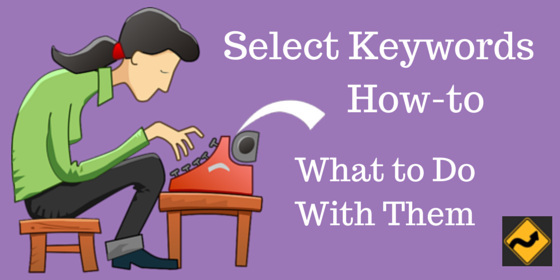 this is a great article for selecting keywords. thanks for sharing……. Excellent recommendation and help full tips about keywords research……..keywords research is an important thing of on page optimization…l also like this post, really informative,,, thank you for your effort. You made a Very Nice article which makes user to habit it soon, Good post. thanks for sharing these info. Very intersting and in formative post.I searched many times about keyword researching before read many blogs but I could not found it properly.I find some impotant topic about it.Thank you grow map.wait for your next post. User should get all the info written in an article with the blink of an eye. And This is what you have done in your article. Your efforts are appreciate able. One other form of making use of your blog post to gain traffic could really be done without having to do keyword research in the “normal sense”. It has to do with trends. By looking for trending topics on twitter, facebook or other social media networks, one can determined the popularity of a topic by the number of retweets, shares, likes etc. These information will be enough to let you know the topic is popular enough to drive traffic to you site. Yes, trends can be a good way to get attention for your content. I searched many times about keyword researching before read many blogs but they all wrote importance of keyword researching but don’t write how to use them.Thank you growmap for writing full details.. The use of keywords and key phrases in page is content is important but it is also very important that keywords are used correctly in meta descriptions to help the search engines identify the content that is on each page. thanks for posting. Yes you are absolutely correct that we should always select our keywords which is easy to find content. and that keyword should also high targeted so we can also get traffic too for that post. really good article for someone trying to understand SEO basics…never understood before that different keywords belong on their own pages…I’ve been trying to load them all on the front page! Lots still to learn…thx! There is a lot of disinformation online about how many keywords to use that makes this even more confusing – not to mention that there are two totally different purposes for keywords. See my post about keyword tags versus meta tags for more details. There are keyphrases which are too hard to use on the content. Take for example “vacations New England”. Some phrases like that are being searched by thousands of people per month so it would be a great idea to target it but as I’ve said, it can be a pain to integrate into your content. I appreciate the tips found in here. It really showcase and explain the importance of keywords in our content. Deciding on our appropriate keyword phrase before we start writing is really essential so we can come up and create a more unique content. Long Tail Keyword is best way to target more than 1 keyword. Hey Ujarp, I completely agree with you SEO can not be done by just doing On-Page or Just Off-Page. Both Process are very important & the balance of these process should be maintain. This is really true.. Amazing job.. On-page and off-page go hand-in-hand. None can work without each other.. This is true, in order to have more focus on a certain topic a thorough keyword or core term research first must be done before creating content. After selecting the core term and the keyword/key phrases variations it will be easier to create the content basing on the topic selected…great post! Keyword is very important to have a high number of visitors into your site. Everybody will visit a site because of the keyword that they enter in search engine so always think as a user. Having the best keyword for a particular site is very difficult. You really need to think of something beyond the box in order to finally come up with a very useful keyword. I’m often asked whether to optimize for the singular or plural keyword phrase. Also, questions like, should we create separate pages for these singular and plural versions of a keyword phrase, or just create a page and target both terms? I would say that first is to go after one of the variations first – so take your singular keyword, create a page, optimize for that keyword and get it to position number one. After that, once you rank number one (which is our aim), then go for the plural version for the same page. In my opinion, Google wants to serve up the most relevant results for the user, so most of the times they serve up two different pages when looking for either the target singular and the plural keyword phrase. It all depends on what Google sees as more relevant. There are times when people are searching for, say “trading system/s”, they serve up the same results. Now, how does this happen and how we can make it happen on your keywords as well? Here’s how we did it for the keyword trading systems. First, we optimized for the plural and then, we chose the singular, as the next term to optimize. I believe that in the end, this is something that Google likes, because it’s good to have variations in your anchor text since this is something that happens during search. It would seem to me that any kind of in depth keyword research in this regard would be unnecessary as they keyword phrase that someone would use to search for your webpage should be somewhat intuitive, I would think. And lest anyone feel that they need to be concerned about picking the most efficient phrase, the method that you describe here would alleviate that concern since we would be looking at writing blog posts (or web pages) for a variety of phrases anyway, therefore using sort of a “shotgun” approach by using several phrases that could potentially be used as search terms to find our sites. Do you think this is an accurate assessment? Am I understanding your approach properly? Keywords are really related with the type of niche you want to start with , so do a little research before choosing them. Yeah, because the success of your article depends on the Keyword also. Your Keyword must be the real issue here or the main point of the article or business you are in to. I often find new keywords by using, as you suggest, inflected forms of the words and phrases (controller, controlling etc). Best wishes, everyone! Hi, there. I love this post! Great work! I would suggest you to continue writing more posts, this would make your blog even more interesting. Keep on the good work. I just wanted to point out that the search based keyword tool from Google is another excellent tool I would recommend using in conjunction with the tools mentioned above. Thanks for the link Galvin. There are a ton of search tools – both free, one-time purchase or subscription. You may want to drop by our Golf Blog. I always try and do keyword research for my site to get the absolute best words. Not too high traffic so I will never rank, but not so vague that the post will never be read. I usually use the Google keywords tool for this but is there a better option in your opinion? .-= Tracy@medifast coupons´s last blog ..Solving the MediFast Purchasing Dilemma =-. Lately I’ve been using WordStream because it has more accurate results and makes it easy to copy/paste lists. When I used Windows I used AdWord Analyzer and may start using it again when I get a used Windows-based PC just for what won’t run on Ubuntu. .-= Internet Strategist @GrowMap´s last blog ..What is UP with Backlinks from Google, Yahoo, Bing? =-. Using just the tips in this post will go a long way to making your site search engine friendly. If you can just keep your posts’pages focused on one two to three word search phrase you’ve gone a long way to helping your site get found. Professional SEOs do have other strategies they use like moving code off-page, creating site maps, etc. that you may want to learn eventually. WordPress along with either a theme like Thesis (used here) or plugins (All-in-one-SEO – not needed if you’re using Thesis) handles some of the things we used to have to do manually. Very informtive info. Thank you. It is interesting how Google treats the singular and plural differently and you have to pay attention to both. Have you noticed many visitors coming from Bing? We’ve seen an increasing trickle over the past month. You’re welcome. Google and other search engines do not consistently treat singular and plural versions of words the same. Sometimes they are indexed separately and sometimes they are not. They also sometimes “merge” various forms of a word and even misspelled versions and treat them as one word while others times they are each treated separately. Bing is getting sufficient publicity to get some traffic and they are reporting growth very aggressively to get even more visibility. While I welcome another competitor to Google it would be in everyone’s best interest – and especially the interests of small businesses – for an independent competitor to rise up and garner some market share. I personally favor http://DuckDuckGo.com and will regularly mention them here and on Social Networking sites in hopes of increasing usage of their search engine. I also plan to introduce them to someone whose company really knows pay per click and hope to be spending ppc ad dollars with them just as soon as they make that function available. The more consumers support independent businesses and Internet directories the more freedom we preserve. I’m working on a post that incorporates several major search engine related posts right now. I hope you’re subscribed so you will see it. .-= Internet Strategist@GrowMap´s last blog ..How to Write a Review at Merchant Circle =-. It is all very true and also the seletin of keywords must be very unique so that, the contents should be very good and also benefits your website by getting more and more traffic. Yes, Nimmy, it is best to use specific unique phrases that are not so general and competitive that your content will not be found. I am building a website, with cook books as my niche. There are over 150 different types of cook books I will have for purchase on my website, but I do not have any keywords to target all of these items. There are online keyword tools – many of them free – that you can use to find the most used search phrases. Try the WordTracker FREE Keyword Suggestion Tool . Common sense and a good imagination are both fine ways to target keyword phrases. You can also ask people what they would search on to find a cookbook. Don’t forget obvious related terms like recipes. If anyone who sells baked goods or cooked foods is reading this and buys pay per click (ppc) advertising do be sure to block the words recipe and recipes or you’ll be throwing a ton of money away on clicks from people looking for recipes and not pies, cakes, or cheesecakes! Great, great advice. I am slowly learning and training myself to do things like researching keywords before i write up an article. Thank you. We are all constantly learning. When I have researched and learned something I share it here partly so I can refer to it again myself whenever I need it and also so others don’t have to reinvent the wheel. If we each share our expertise we can all get up to speed on more faster. I am really very impress with you article. Thanks for informative concepts7. You’re welcome. I hope you take the time to come back and read some of our other posts. Have you seen our golf related blog at http://NoBogies.com./blog? If you decide to get started on Twitter follow us @NoBogies there. Most anyone following that account is likely to be very interested in golf. For the better content it is important to have unique Keywords that are to be targeted and to use them in every content of the website so that maximum traffic will follow it so that it may result in good ranking in the SERPS…. Thanks for letting us know about this…. Your comments are being captured by Akismet as spam. You don’t have to submit more than one as I will eventually rescue real comments, publish one, and delete the others. When there are several there is no way for me to know which one you would prefer to keep. If you want to be found on the internet, you’ve got to understand the importance of keywords! Yes, I deleted a bunch of his posts and even emailed him that being a spammer is NOT a good way to make friends or grow a business. No reply to the email but plenty spam comments for me to delete. There has got to be a way to blacklist and whitelist commentators. Do you happen to know of one? I can’t imagine why Akismet hasn’t added that functionality (or if it is there why I haven’t found it yet). Just asking, but did you delete, or mark them as spam first, then delete. Askimet will learn those spam addresses if you remember to move some of those messages there first. I marked every one of the first batch as SPAM and now I have a whole new batch. I just marked each of them as SPAM too. I still believe what we need are blacklist and whitelist functions. I would whitelist regular commentators (and myself!) and blacklist the spammers. I must be lucky, because Askimet catches most of the spam, and it’s rare that something else slips through. And when it does, I mark it spam and it doesn’t happen again. I have no idea, but being able to list things as you mentioned might help some. Mitch’s last blog post..Do You Need A Contact Page? I don’t fully understand how akismet works, but it would be nice if it had the whitelist and blacklist feature. I think after you mark him as a spammer, that should be it. But when I did that search above I mentioned, I see he’s getting links for lots of different sites – so maybe you’ve flagged his “yellow pages” site, but his next site is for “cable boxes”… or it could be he uses different ip addresses. In any event, eventually karma should track him down! A pox on spammers! I’m not sure how it works either. It isn’t wise to simply block IP addresses because many ISPs still dynamically assign them so you’d be blocking innocent users as well as the spammer. I suspect they block email addresses and most wouldn’t use a different one each time. Yes, spammers are certainly annoying. I wish they’d get a clue and find something more productive to do. It is highly likely that they’re selling traffic to newbies who don’t understand how they’re generating it. I totally agree with you. When I am working on my blog I come up with a few topics that I’d want to write about. Then I choose one topic and figure out how people would search for that topic if they were looking for it in a search engine. Whatever I come up with, I make sure to include it in the title of the post and to focus on that phrase or slight variations of the phrase throughout the body of the post. As long as you are focusing on that phrase, it comes out naturally rather than appearing like you’re trying to keyword stuff the post. You’re smarter than the average bear. I bet most people don’t think about how someone will actually go about finding them – whether we’re talking about each post or the name of their company. Avoiding words average people struggle to spell might be a good strategy even for keyword selection and definitely for business names. Words that are too common and have too much competition is another. When we target specific two to three word phrases our content is bound to be found. Zemanta loves my post and I suspect that is why. Great post! Finding a quality keyword phrase will determine the success of your post or article. A word or phrase that is too competitive and you will never be found in the sea of info. Pick one that is too vague and not very many people will search for you. It is a tough balance sometimes on some subjects but very important. Yes, that is absolutely true. I didn’t touch on that a lot in this post because my posts tend to be so long already. The easiest way for small businesses to deal with that issue if they don’t use a lot of SEO and keyword search tools is to keep creating unique content targeting every phrase they can think of related to their business. If they do that they’ll be found for many different searches and won’t have to worry as much about the super competitive phrases. Nice post. I have to admit that I don’t do this type of thing, mainly because it’s my blog, and I just want to write and not overly worry about it. However, I do go back to see what I’ve written, then use All In One SEO to optimize it after that point. Still, it’s a very good recommendation to make for a lot of people. Thank you. As you mention you can just write and add the SEO information later. I add it after the post is finished. The main reasons I recommend deciding what keywords you’ll use BEFORE you start writing is to keep posts focused on one topic and to ensure they can be found. Many times it can be a real challenge to find a great post on a subject you know you’ve read about many places because the words are too generic to find in search. By targeting a specific phrase your posts will get found and linked to far more frequently. Thank you. The main reason I cover a subject is because I get the same questions over and over and want one link I can send someone that covers all I know about it. When I decide to tackle an issue I research all the information I can find, read everyone else’s opinion, and then explain what I have decided to do and why. I may offer different choices for different businesses or individual circumstances. My primary goal is to take a very complex subject, explain it in a way that most anyone can understand, and then make specific recommendations. Some may use the links I provide to do their own research and make a different decision. Most can feel comfortable following my advice and save having to learn as much as I have in order to make their own evaluations. One challenge when learning anything is that you must develop a strong background before you really know what questions to ask and whose answers you can believe. That is why I write this blog – so that business owners have an independent source they can trust – even when they can not afford to hire their own expert. I’ve seen quite a few blogs that have no rhyme or reason to their structure. Keywords are certainly an important part of this. I especially find the blogs that keyword stuff all their posts and titles to be funny. Even their meta descriptions, which everyone sees when searching for any topic, are keyword stuffed as well. Who will click on that? Best to target closely related keywords as you noted. Over time this will help your primary keyword(s), usually on the homepage, rank pretty good. Many people do not naturally think in an organized manner. Only a minority think expansively and have a vision of structure. It is very useful to make some of those decisions before you start posting. I suspect few do that. I write primarily for people and if I do that well enough with the tips I’ve shared in this post the SEO will work out fine. Great article…….hope the recent PR update was kind to you! I got back my PR 4, after having spent 60 days being “demoted” to PR 3. Thanks. I knew I was forgeting someone important. Check out the wedding related keywords section again for a surprise for you. Theory has it that links from within posts are ranked higher than those in comments. I’m still sitting at PR3 but I don’t worry about that much. Some of my favorite blogs have been penalized by Google and zapped back to PR0. I’m more concerned with keeping real people happy here and helping small businesses prosper by providing proven Internet strategy that they can not afford to buy. Now I have unlimited access that is twice as fast for 65% less per month if I could get rid of HughesNet! I can’t so I’m paying $10 less a month for TWO Internet connections: one excellent, one mediocre to awful but possibly useful for less intensive tasks than blogging and adding businesses to Local Search Directories. Even better news is when they install on a tower close to me I’ll have smokin’ access! Hey, thanks for the in-article link love……much appreciated!